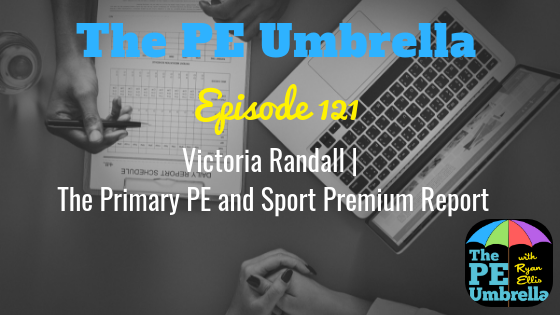 Welcome to episode 123 of The PE Umbrella Podcast, the only Primary PE podcast in the world, as we talk ALL things Physical Education. Yet again, I feel absolutely honoured to be bringing you today’s guest! 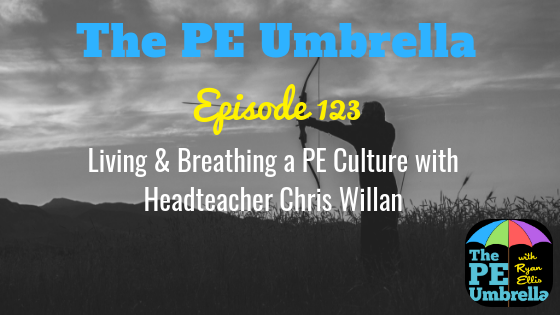 I am joined Under The PE Umbrella by Headteacher of the fabulous Water Primary School, Mr Chris Willan. A school that is absolutely at the forefront when it comes to embedding a PE culture to drive school progress and happiness, Water Primary is simply thriving. Chris takes us on his personal journey, from his days as a coach for Burnley, to classroom teaching, to his role as headteacher, and through this shares his burning passion for how high-quality PE can impact all young learners. From primary school competitions to ‘PE Days’, Chris shares with us one knowledge bomb after another as to how he has managed to create such a wonderful environment. 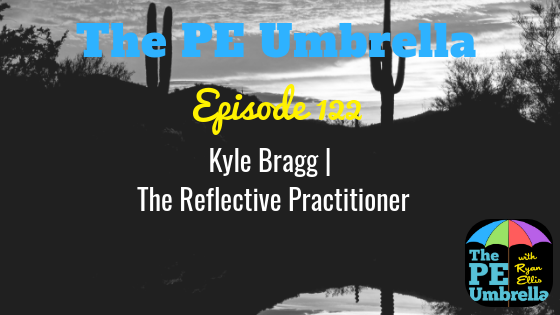 We also find time to discuss how he has spent his school PE budget for maximum impact and long term sustainability, as well as the implications of the new Ofsted framework and what that means for our beloved subject! Not only that, we delve into his time in the classroom as he shares his worst ever PE moment, his top class management tip and top warm-up! As with my chat with Ian Holmes in episode 118, there is so much to be learned from the ideas and thinking behind the work Chris is doing. Whether you’re from the UK, Australia, America, Canada or beyond…this is a MUST LISTEN! Get that pad and pen ready…Knowledge Bombs are aplenty!